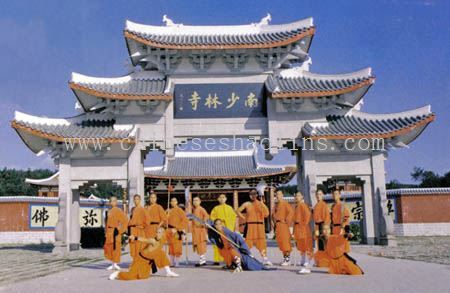 Masters photos and Shaolin Brothers /Sisters Photos. 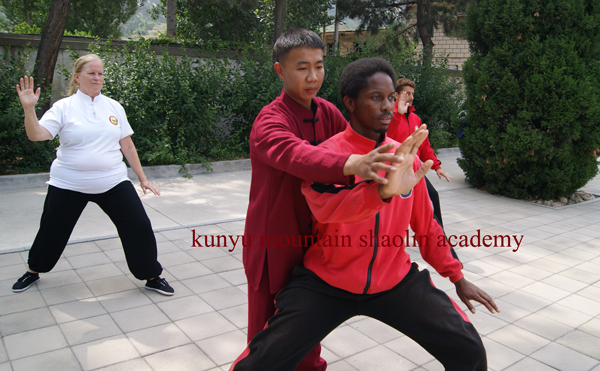 Here are some photos of our masters. 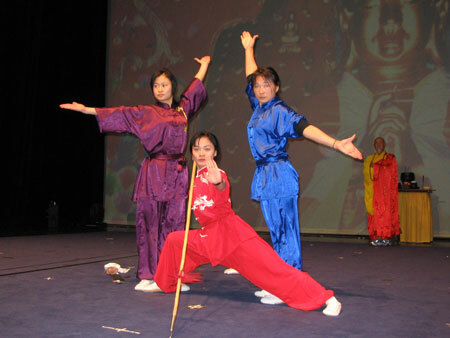 Their performances,travels and photos with students from other countries,and our friends (that our masters have trained or performed with). 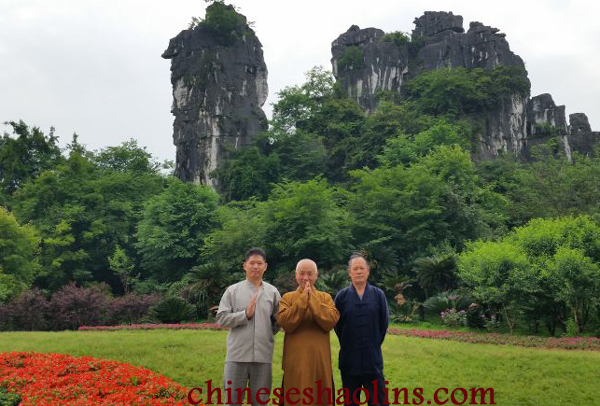 Headmaster(on the left ) and Abbot of Temple in YunNan province. 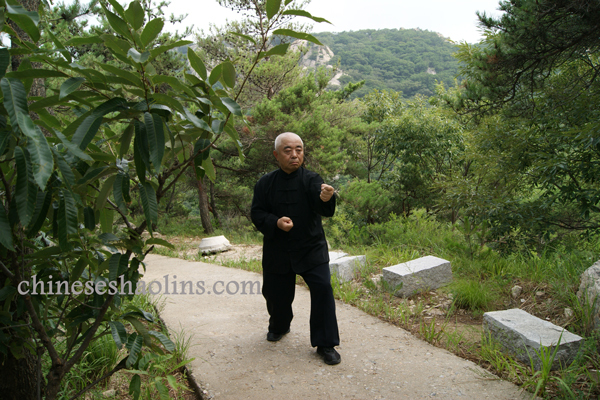 Headmaster doing Tai chi Forms. 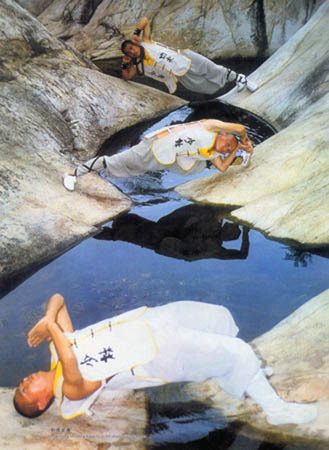 Shaolin Monks Fan Form performance. 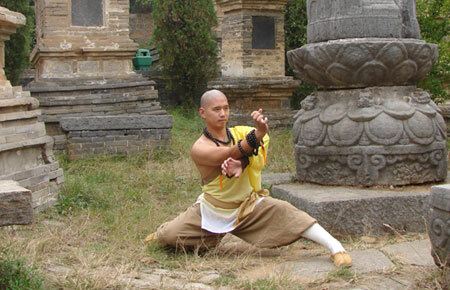 Master Shi Xing Qing in the Shaolin Temple. 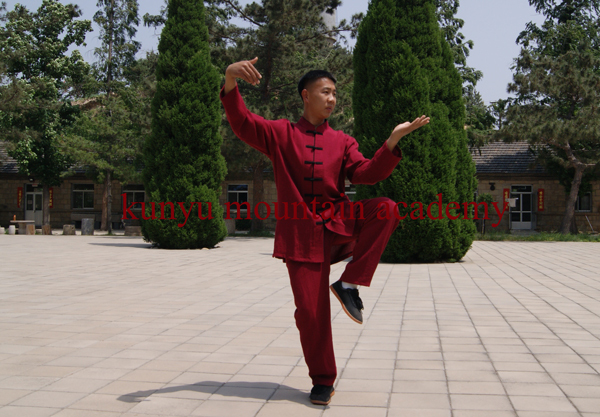 Our sister school in original shaolin Temple. 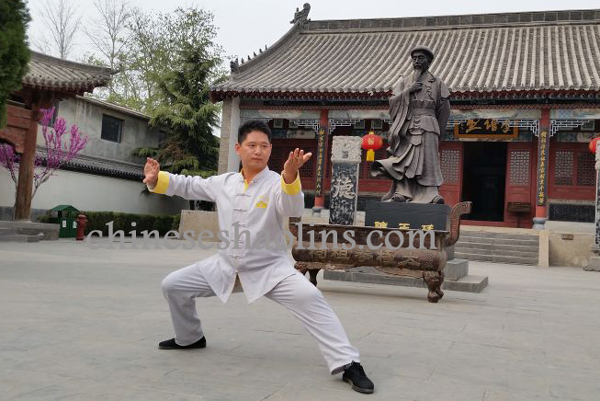 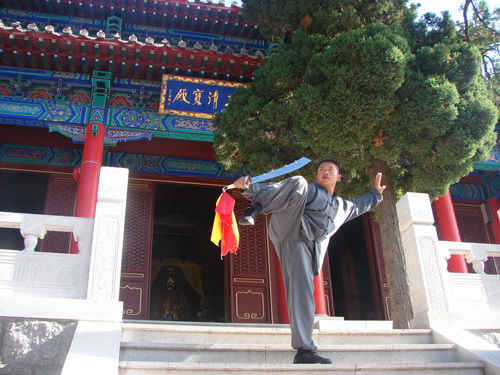 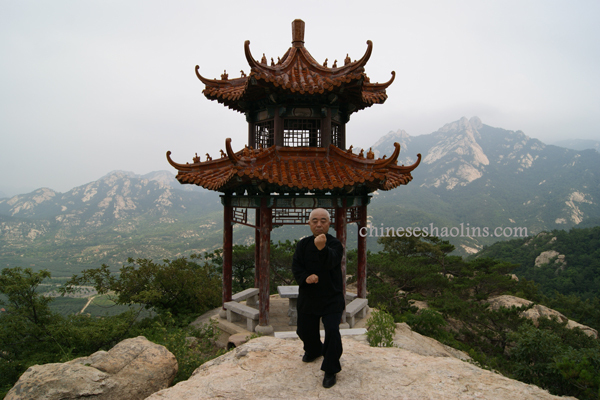 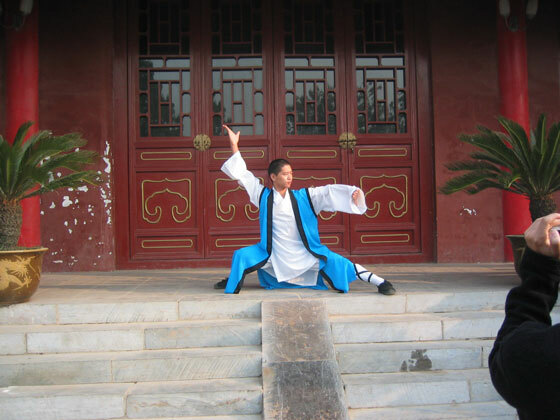 Master Shi Xing Qing practicing Tai chi in Shaolin temple. 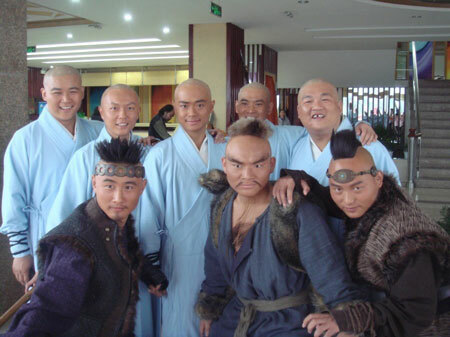 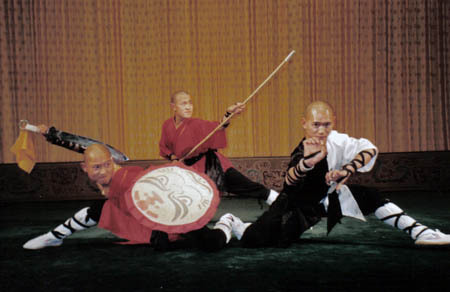 Master Shi xing qing and other monks in Arhat Battle Array. 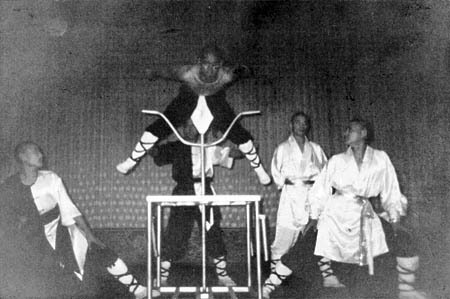 Shi Xing Qing performing "Laying on Steel Fork". 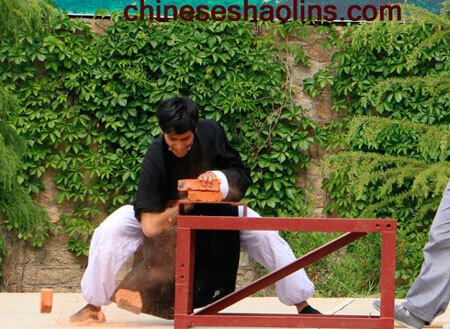 Student Ariel broke bricks with hand. 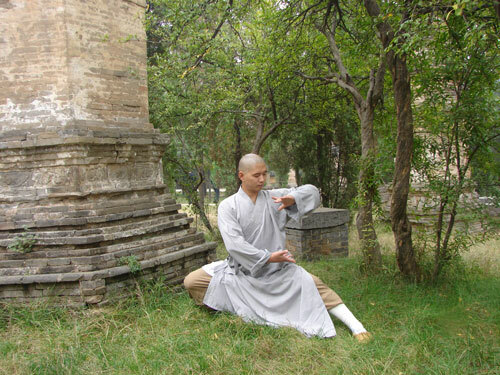 (Hard Qi Gong). 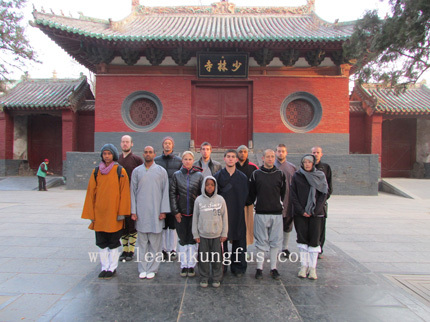 Master with his foreign students. 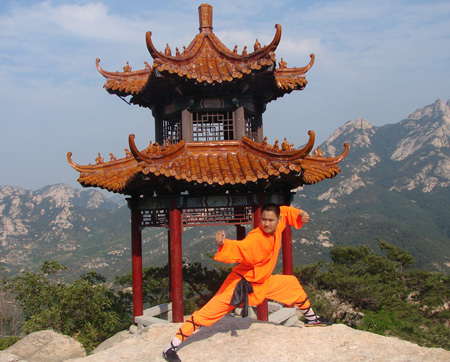 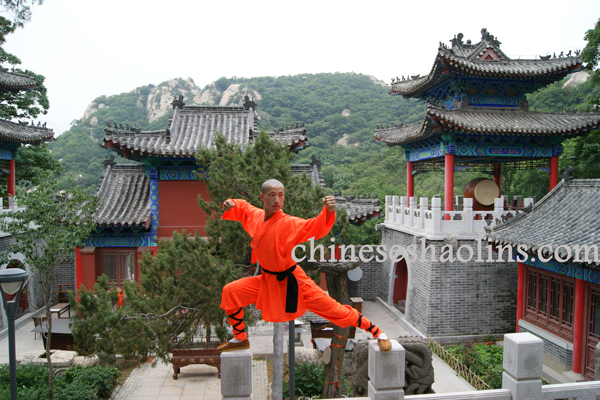 Master Meng performing traditional Shaolin. 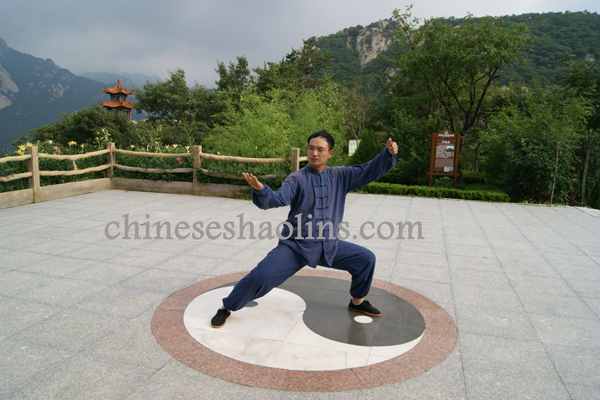 Master Chen perform Chen Style Tai chi. 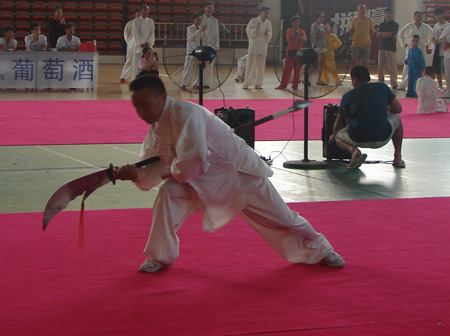 Ariel from USA performing Miao Sword. 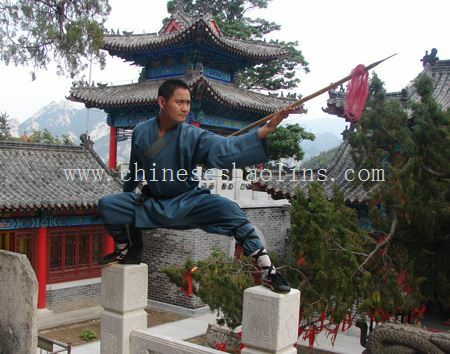 Master performing Shaolin double hooks. 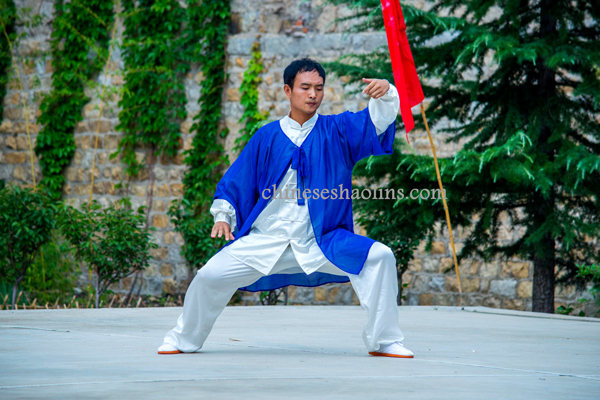 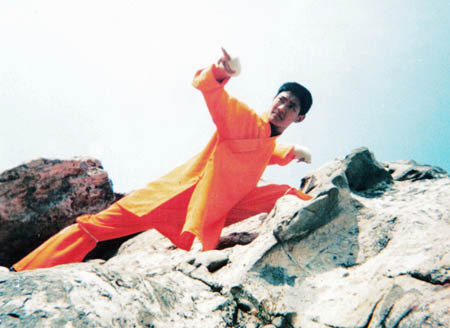 Master Shi Yan Bo performing shaolin form. 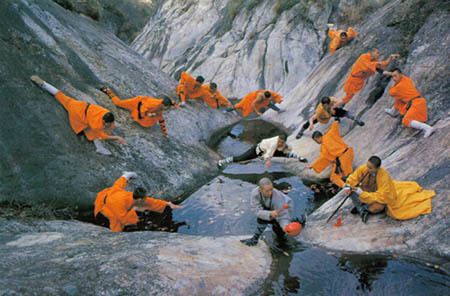 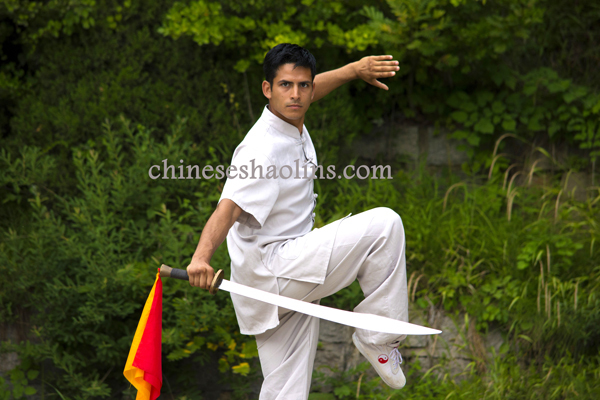 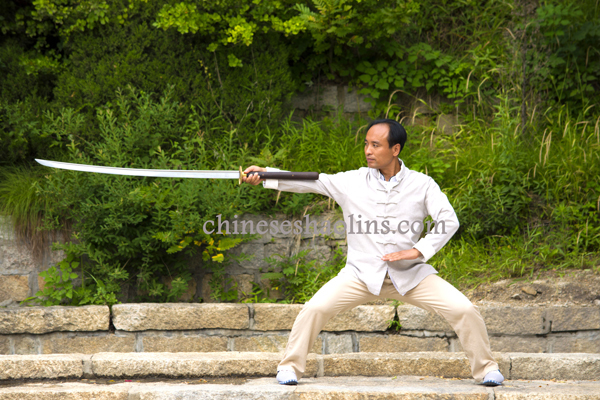 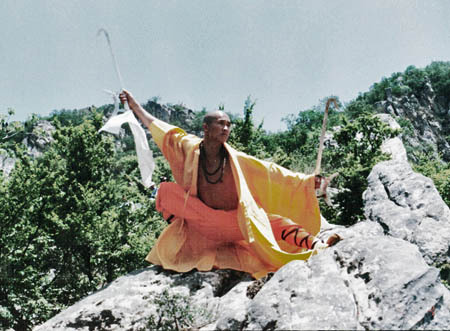 Master Shi Yan Bo performing shaolin spear. 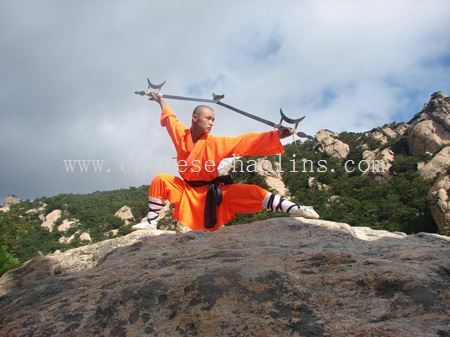 Shaolin Monk with Double Swords. 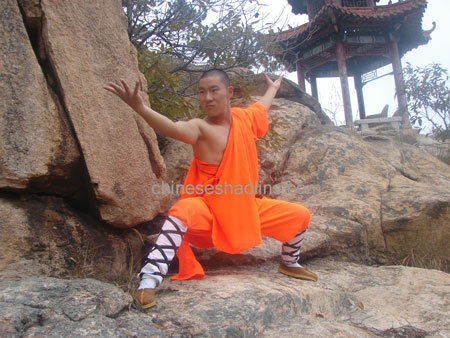 Shaolin Monk with Double Hooks. 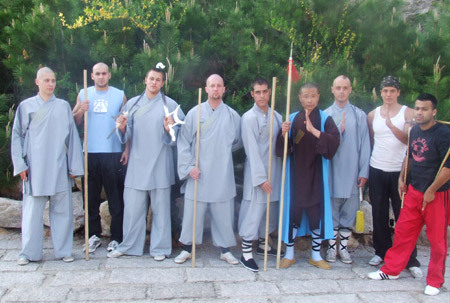 Shaolin Monk with Pu Dao. 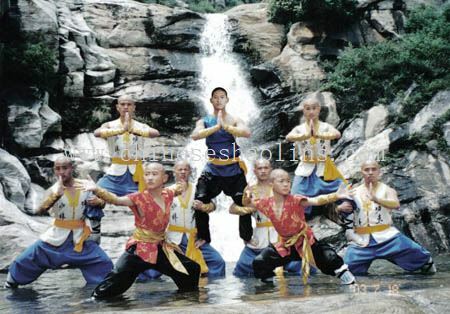 Female Master Tian showed Shaolin. 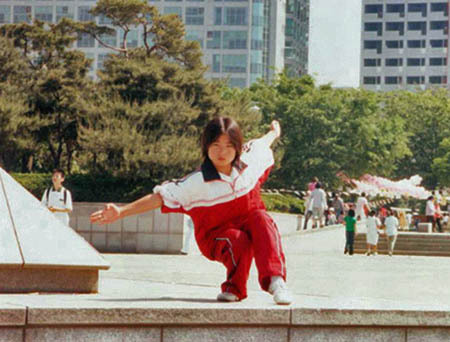 Eagle shows its wings (Korea).